I love hosting parties because of the great food and company. And, to be honest, entertaining is also exactly the kick in the behind I need to work on fun projects around the house. We’re hosting a parent social in a few weeks, and I’m working on some decorations that will be festive and a touch glamorous, to help us all escape for a few hours from the daily routine. 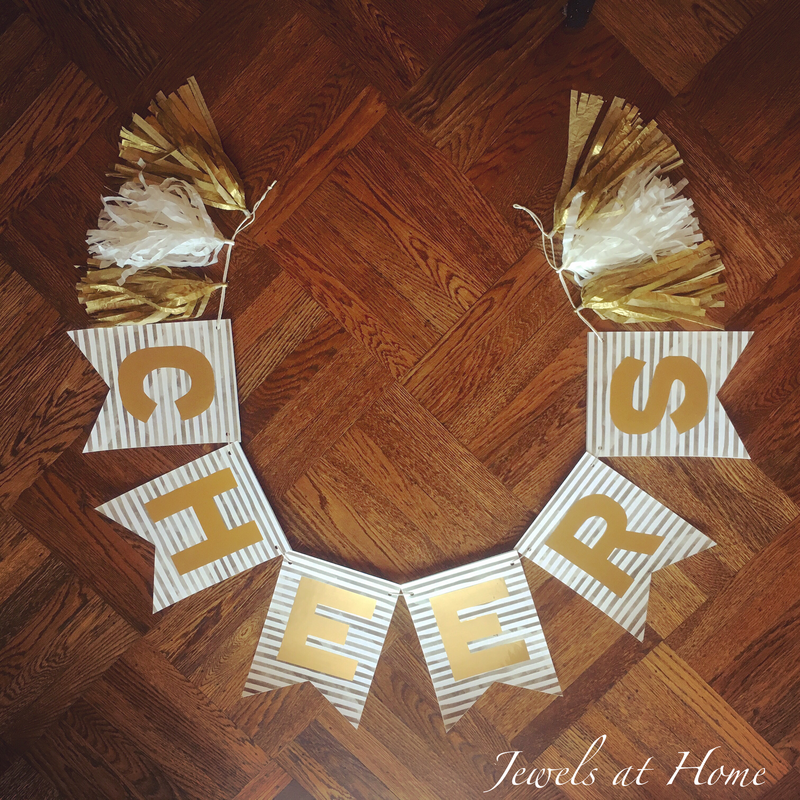 One project I was excited to do was this “CHEERS” party banner. You could use this idea with any saying for all kinds of occasions, like weddings or birthdays. 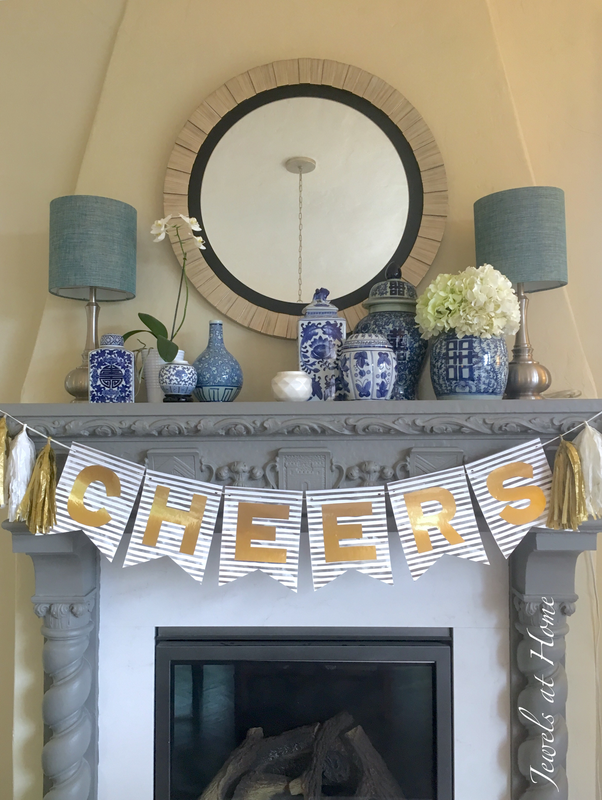 If you want to make one for your next shindig, here’s how I did it. Here are a couple more pictures of our fun party banner!